A Nord noble's seaside estate is typically walled and well guarded against offshore raiders. 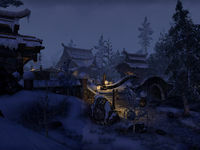 Fulstrom Homestead is a private manor off the coast of Eastmarch. The grounds are patrolled by Manor Guards; additionally, several NPCs can be seen around the manor. 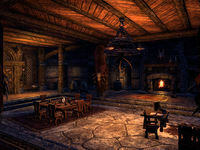 The tunnels beneath the manor are inhabited by dangerous draugr and spiders. This page was last modified on 1 September 2017, at 00:10.